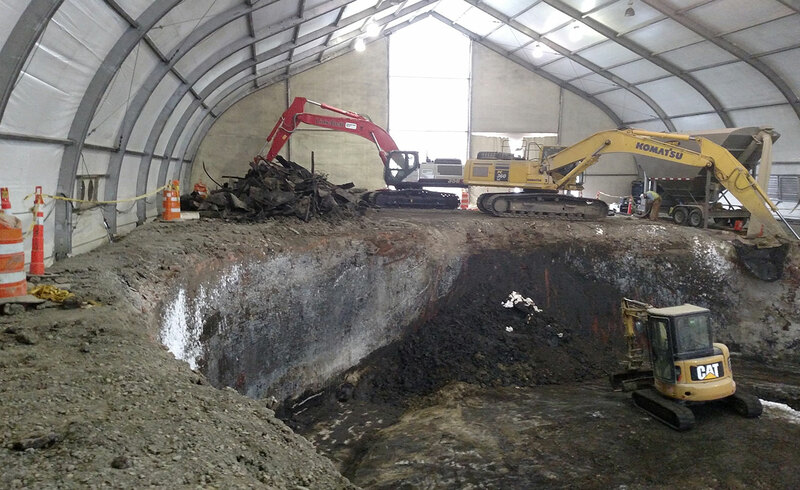 LAND Remediation served as the prime contractor to National Grid for this multi-phase project. 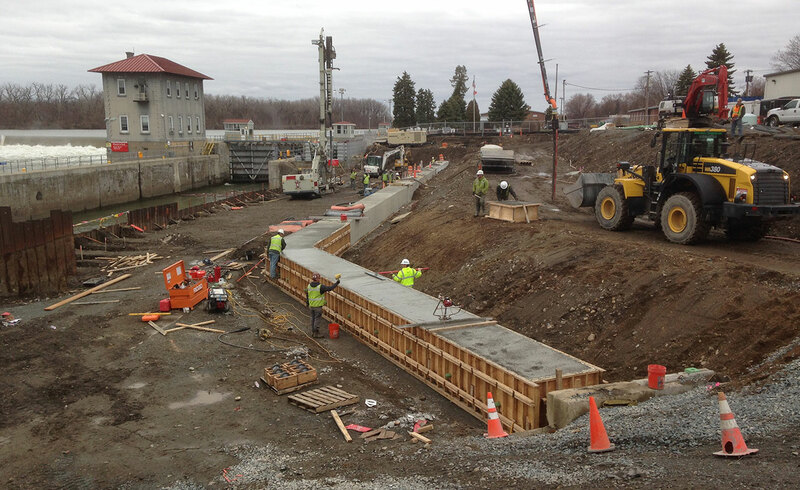 Phase 1 included installation of a timber mat access road along the shoreline of USACE federal lock approach for the installation of a stone stability berm. 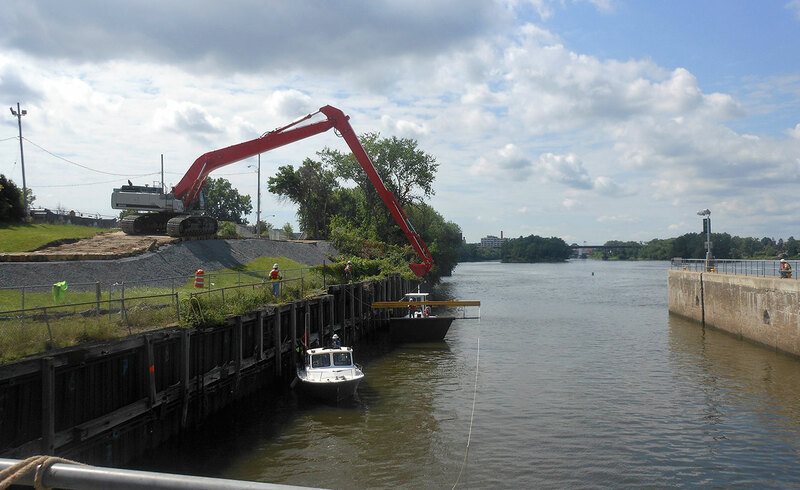 The stone berm was placed to stabilize the existing dilapidated bulkhead (photo above and left). 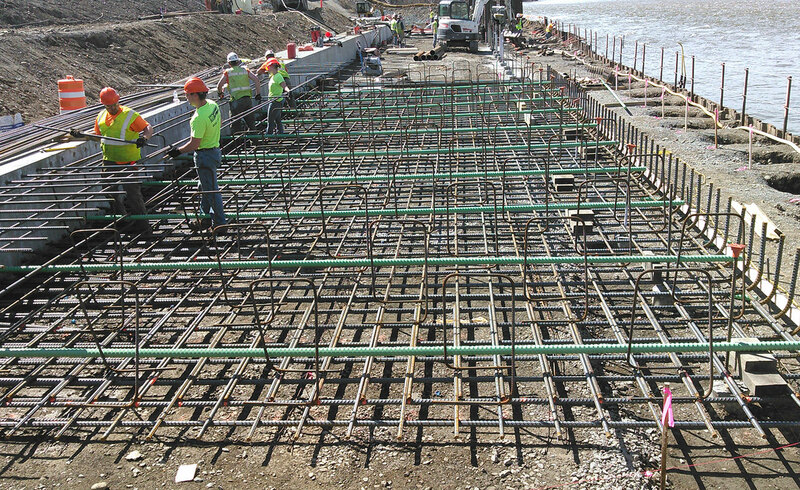 This was a LAND alternate approach, which allowed for work to proceed during the permitted work windows rather than deploying marine-based equipment during non-navigational (ice) season. 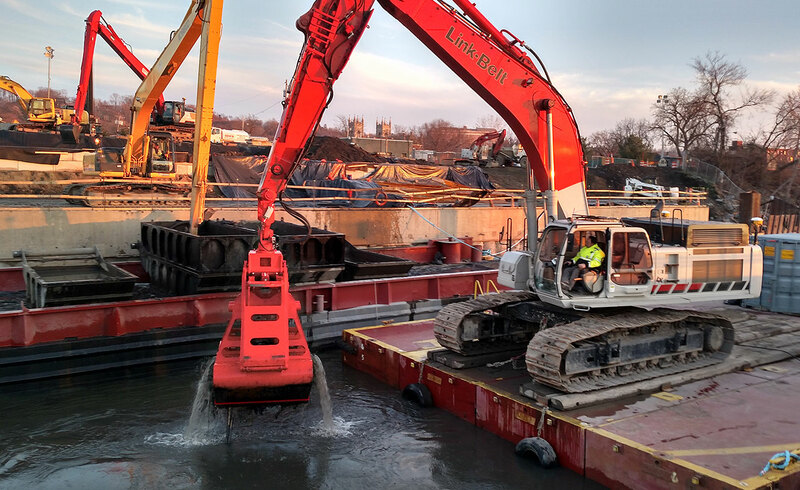 Phase 2 incorporated multiple components including: removal of a 90’ diameter gas holder within a temporary fabric structure, installation of a micropile-supported relieving platform, installation of replacement secant approach wall, removal of the existing timber approach wall, and dredging/backfilling of the federal lock approach (photo below) using mechanical dredging techniques. 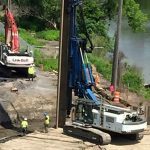 LAND performed 75 percent of this work, with subcontracting of the drilling services (micropiles and secant installation). 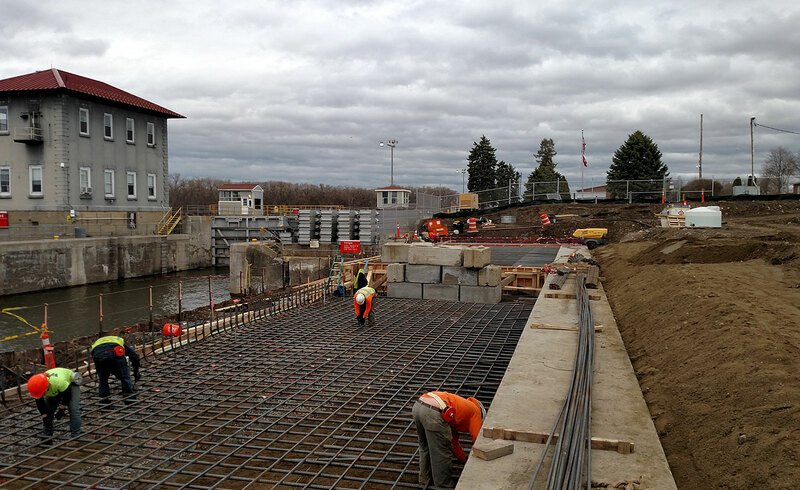 Work was performed at the National Grid Service Center/USACE federal lock operations center. 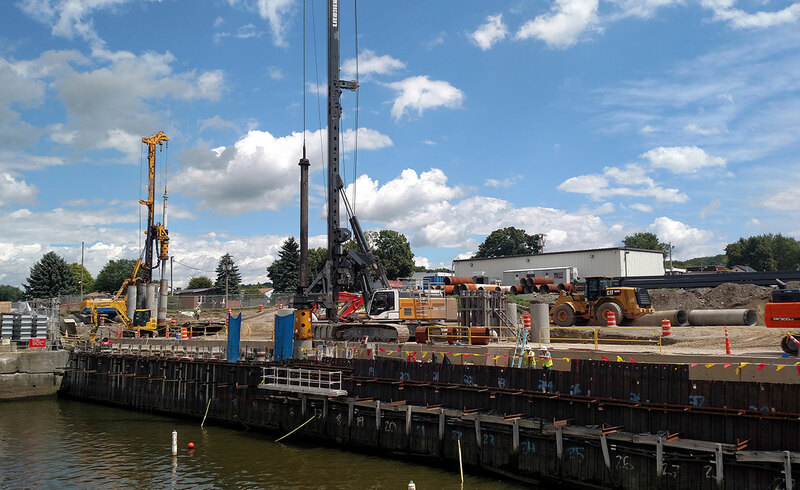 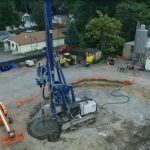 Coordinated closely with USACE and National Grid to monitor the structural integrity of existing infrastructure during execution of the work and maintain navigational traffic during drilling operations.